Whoever wants to actively explore this world does not need to travel to the far end of it, as miracles might be waiting for us nearby, and we only need to remain open to them. Two years after our last gastronomic voyage in Kakheti, during which the photographer @Mariam Sitchinava and I prepared an extensive photo-report about the cuisine and wine of this amazing region, I thought that nothing would be able to surprise me in Kakheti any more. Our research was intense and the places we visited were just extraordinary. But I forgot to take into account that Georgia is surely developing as a travel destination for gourmets with new exciting places for people who love food and wine appearing like mushrooms after the rain. 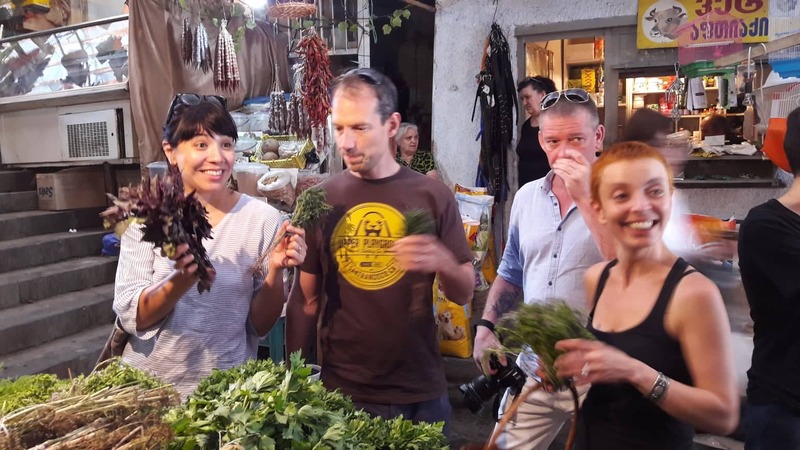 This summer, my new friends, a wonderful couple, Kristo and Gio, the owners of the restaurant “EZO”, invited me together with a group of other journalist friends to participate in their project “Ezo Tours”. So our way led us once again to Kakheti. Kristo and Gio are great enthusiasts and visionaries. They dream of saving their homeland from cheap and low-level-tourism. They are offering an alternative: a delicate and sensual approach to Georgia during which a traveler can develop a deeper appreciation of the country and its treasures. This becomes possible through not only visual impressions, but also through the tastes and tactile receptors and through active involvement in aesthetic moments. 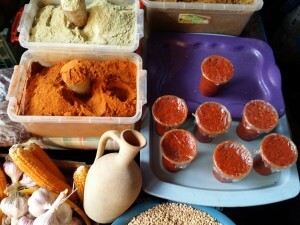 In recent years Kaheti has gained fame as a gastronomic paradise of the Caucasus. For Kristo and Gio, the region seems to be the best fit. 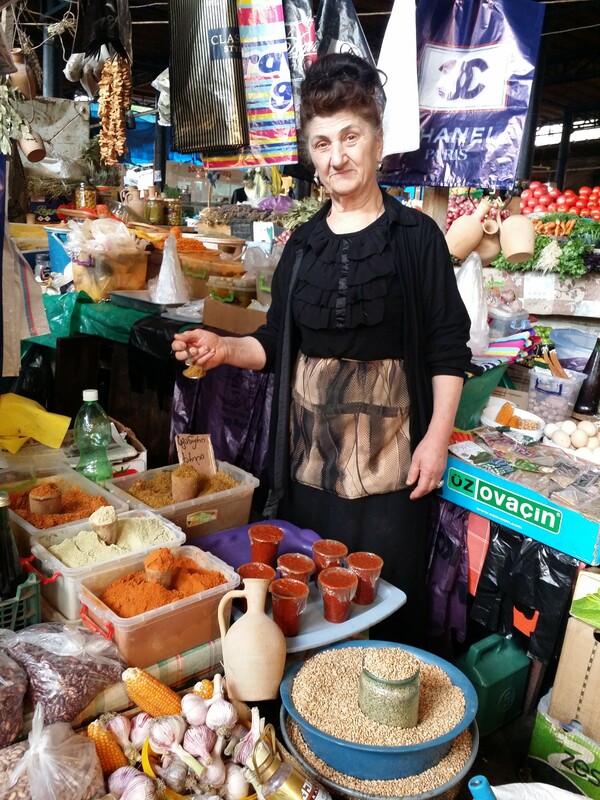 On the road from Tbilisi, our first stop is Telavi with its agricultural market. I really love this place, with its anarchic local look, smell and sound. A long way from the gloss and modern air of Tbilisi supermarkets. In the capital you cannot find a market like this anymore: a gastronomic symphony is sure to sound here. The Telavi market has preserved many features of Georgia of past epochs, when this country was considered an important trading center on the Silk Road. Armed with two wicker baskets, we enter the chaos. Kristo invites us to search for local products and she advises us about some important issues. Which seller to buy and how to choose the products we need. Our Kristo is more than a guide, she is a godsend. Despite her fragility, she is full of energy and – most importantly, she is passionate about good food and knows how to infect anyone with her enthusiasm. In such a way, Kristo helps us to write a completely new page of our Georgian culinary experience. Kristo’s husband Gio is the opposite. He is a quiet person, and heprefers to silently assist his wife by driving, carrying heavy bags and also by cooking. 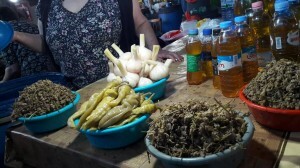 In addition to spices, important components of Georgian cuisine are fresh herbs. I will never cease to admire the thoroughness and love with which Georgian women choose their herbs in the market. Kristo takes them into her hands and carefully studies and sniffs with love each green bundle tied with corn husks, after which she accurately puts into her basket: purple basil, tarragon, green onions, cilantro, mint, kondari, mountain thyme, and also ombalo, a fluffy small-leaved herb with many tiny purple flowers. Ombalo, or marsh mint, is significantly different from ordinary mint. 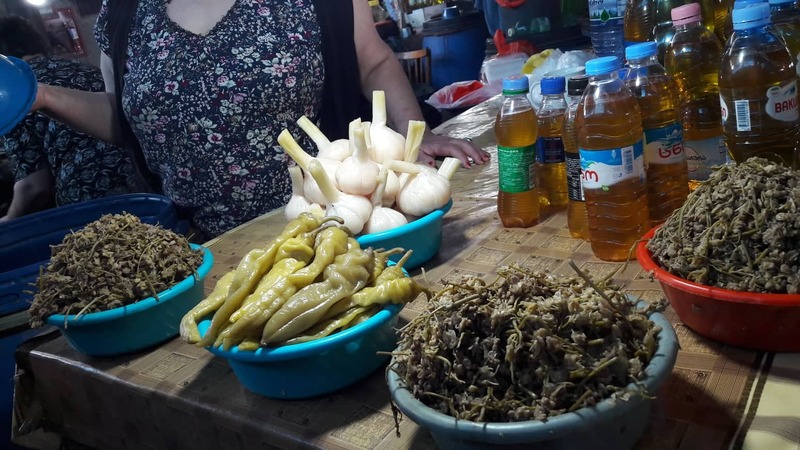 “Ombalo is essential for making green sauce from tkemali plum, and we also use it for green lobio, green bean stew,” Kristo explains. A little bit further our guide gets juicy giant peaches, small elastic eggplants, crispy onions and fragrant pink tomatoes. At a long counter with cheese, where an inexperienced traveler would not always find a product of a proper quality, Kristo quickly finds her familiar trader whom she trusts most. From her, our hostess acquires suluguni. “This cheese is boiled, Mozzarela style, and its taste is the best, when it is still tender and the milk literally oozes between its layers. 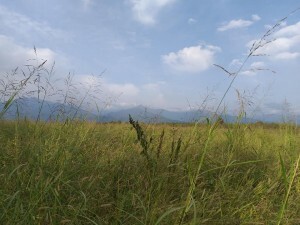 Undoubtedly, the most delicious suluguni is cooked in Georgia’s western province, Samegrelo, where the cows enjoy luscious grass and therefore give a very different milk quality. In eastern Georgia, good Mingrelian suluguni is not easy to find, though. If transported improperly, it matures too quickly. However, this local trader also has an excellent cheese, “Kristo promises. Afterwards, we try and buy some young sheep cheese from Tusheti, which should be dense in consistency, but not over-salted. In addition we get a dambal khacho, “stinking cottage cheese”, matured in a clay pot and then buried in the ground. Its taste is surprisingly similar to French Camembert. The day gets hotter and the market swells with people. Further in our guide takes us to the counter with homemade sunflower oil. We study its color and taste. A bright viscous substance of amber color with an intense aroma of freshly roasted seeds tickles our tongues, arousing our appetite. Our next purchase is marinated jongjoli, Caucasian bladdernut. These are marinated inflorescences of a rare tree, are sometimes called Caucasian capers. As Kristo says, despite the marinade, a good jonjoli “must preserve the fragrance of fresh tender flowers”. Having weighed the jonjoli, the merchant generously treats us with pickled garlic and lightly salted crispy cucumbers. The pickles are infusing our appetite even more. This is an unusual kind of cucumber: long, light green with a barely noticeable skin and almost without seeds. We begin to struggle as our baskets are already overflowing with products. And at the end Kristo decides to teach us how to choose walnuts correctly. “When you crumble the pieces of walnut between your fingers, they should give a lot of oil,” explains Kristo. How cool it would be if people could be checked for their substance and quality in a similar way: by crushing them between two fingers! There is a great abundance of walnuts in the market. For a couple of minutes, we are squeezing a lot of nuts before the eyes of traders, until we pick the right product. In Georgia, a salad of tomato, cucumber and herbs is often seasoned not with vegetable oil, but with grated walnuts. Therefore, the oil extracted from them is so important for those who cook. What else is needed to meet the culinary need of Georgians? There are of course: honey, chacha, grape-based spirit, as well as forest and garden berries, blackberries and strawberries with a strong flavor of wild strawberry. We load up enough of them before leaving the market. 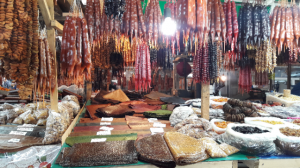 The Telavi market strained our taste buds to the limit. To refresh our strength Kristo and Gio take us to try the best khinkali in town. In a cafe of a rather uncomplicated kind, popular among locals, they serve exclusively khinkali. 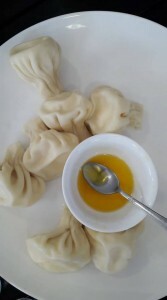 Khinkali, dumpling with a filling, is an essential part of Georgian cuisine, and they are cooked everywhere. And they seem to look the same but to a Georgian the finer points and quality is as big a deal as the difference between cheeses and wine to a French person, beer to a German or Belgian. Here these dumplings are cooked in the traditional way, with a filling of minced meat, as well as with nadughi, a fresh curd cheese similar to Italian ricotta. Kristo promises us that we are eating the best khinkali with cheese in all Georgia! Although I cannot be considered a great friend of khinkali, I must acknowledge that our guide is right. This dish of the finest dough exceeds the most pretentious expectations. It is served with melted golden butter, which must be poured directly into the open khinkali, after you have already taken a bite. The taste is divine! After lunch our way lies to Zangaura, an unusual Kakhetian village with subtropical climate. The inhabitants of Zangaura originally come from the Imereti region in western Georgia. 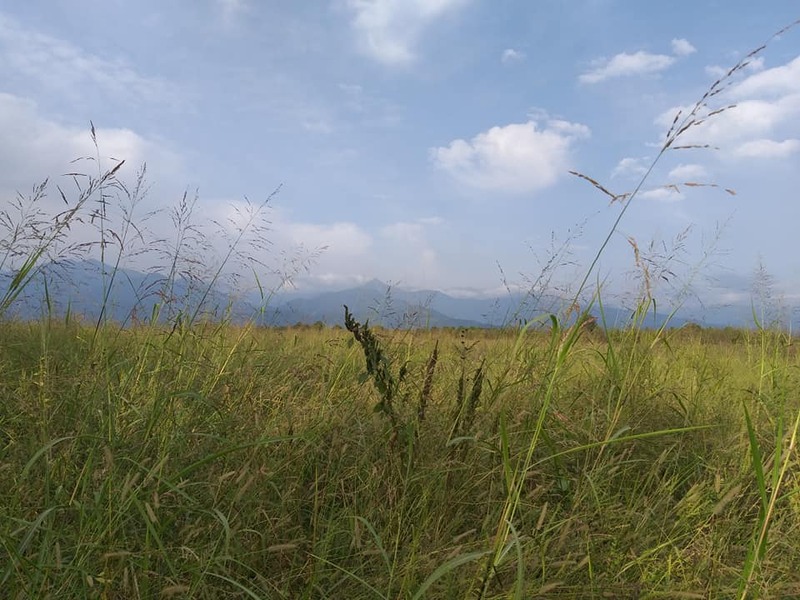 There they were resettled to Kaheti more than a hundred years ago because of the landslides, which were happening in their homeland at that time. 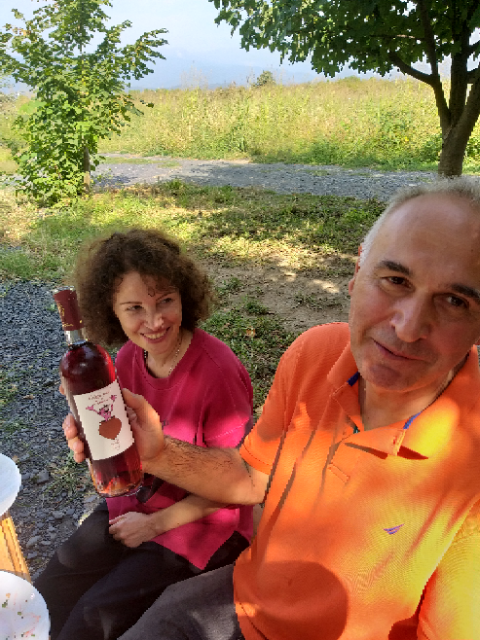 In Zangaura we are welcomed by Merab Buzaladze, the hospitable owner of Georgian Wines Winery, a bright, unordinary, passionate person. In the difficult nineties of the last century, when civil wars were exhausting Georgia and its inhabitants, the former nuclear physicist made a gamblers bid to go into winemaking and, as time proved, he won, as winemaking is highly demanded in Georgia now. 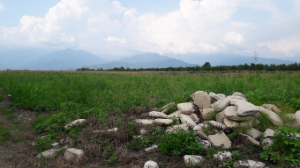 With this move, Merab implemented not only his own plan, but also a dream of his whole family, having bought from the state 153 hectares of land, which before the Russian revolution belonged to his family. Now Merab produces fifteen kinds of wine, for which he received high awards at Georgian and international exhibitions. Merab prepares Saperavi grapes from his own vineyards. White grapes he buys from the peasants in Imereti and Kakheti. In addition, many fruit crops grow on his land, including various types of plums, melons and nuts. 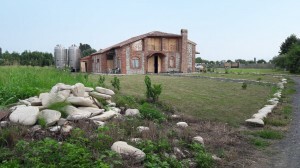 During the construction of the winery on his land, many historical artifacts were found. Jewelry and dishes, which, according to scientists, are 2100 to 3000 years old. 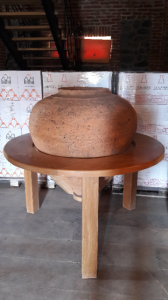 They are now exhibited in museum showcases in a large cool entrance hall of the winery where, after a glass of water we begin our wine tasting with a white young Kakhetian Mtsvane. During the recounting of Merab’s story, we are amazed to see a huge clay jug, qvevri, which was found during excavations. It was installed in a wooden frame to preserve it. “Why did not you give this qvevri to the museum?” we ask. “Doesn’t it have any historical value?” After all, it might be unique only because it is intact.” “The scientists, of course came here and appreciated all the finds. But for a museum, such a jug from two thousand years ago does not represent a special historical value.” Merab replies. 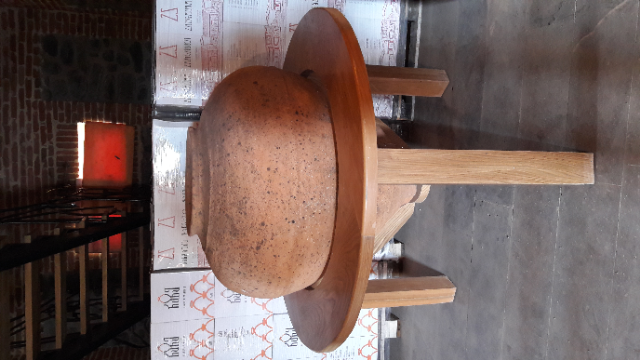 And if you are aware that the wine-making in Georgia is 8,000 years old, it is easy to accept the understanding of the winery owner. After a pleasantly refreshing first glass of young wine, we head to the cool shade of old trees where the famous Caucasian hospitality unfolds before our eyes. A wooden table, hammocks and chaise lounges. In a nearby stream the cool water melons and watermelons been have been chilled extra for us. Watermelons and melons are growing in the nearby field. Here we taste more of Merab’s wines as well as dishes prepared for us by the masters and tempers, Gio and Kristo. For the entre, a pink semi-dry Saperavi of bright color is perfect. 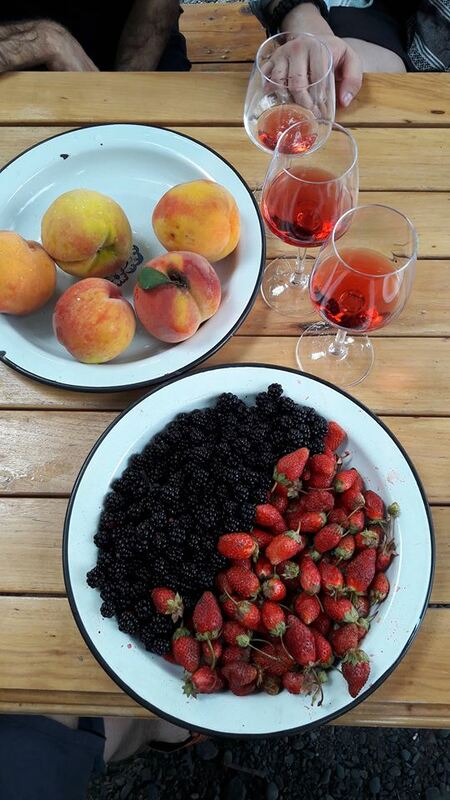 Its taste perfectly emphasized by the forest blackberry, strawberry and fragrant peach. By the way, here this wine is called not pink but ruby, lalisperi. After a break and a sip of cool water, we listen to Merab explain the difference between Kakhetian and Imeretian wines and slowly, with arrangement, taste his white wines: Tsitska-Tsolokauri, Krahuna, Khikhvi and Kisi. One replaces the other according to the growing indices of intensity, taste, color and aroma. Each accompanying snack is akin to an opera overture, warming up our excitement for the next treats to come. To light white wines, milk suluguni is ideally suited in the company of tarragon and purple basil, as well as Svanetian salt and home-made red tkemali sauce, in addition to thin rolls of suluguni leaves filled with tender feathers of tarragon. 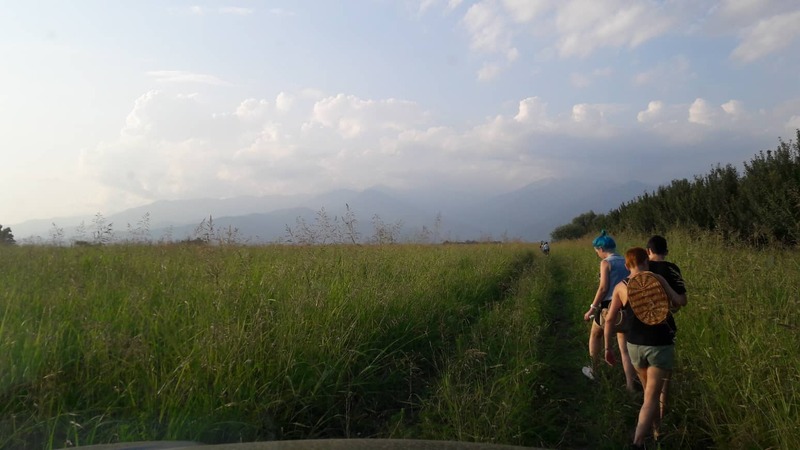 Our food and wine tasting in the rays of the evening sun is interrupted by a short walk to a small lake with an island located on Merab’s land. It is still hot, and the air is incredibly dense and moist. We feel it difficult to move. But our physical costs are more than rewarded with magical views that open before our eyes to the Great Caucasus Range and a seemingly endless valley. Our path along the trees, lavishly planted with plums and prunes, is accompanied by the singing of cicadas and the scent of meadow flowers. In this small subtropical micro-zone is an unusually rich flora and fauna. According to Merab, his fields are one of the important places where migratory birds fly from Europe to Africa. Fifteen years ago, Merab made sure that hunting in this area was banned, which provoked protest by local residents of whom many go hunting. But these efforts were gratefully received by the birds, the number of which is growing every year. After a walk we continue our lavish feast. The more intense rare wines of Khikhvi and Kisi are accompanied by Tushetian cheese and “smelly cottage cheese”, which we dunk into honey and snack with nuts, as well as grilled aubergines and herbs, onions and fresh tomatoes. At dusk, Merab takes us to his vineyard to show how his Saperavi grapes are growing, the wine from which we will be tasting in a few minutes. 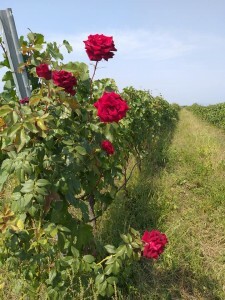 At the beginning of each row of the vines there are bushes of roses. It turns out that roses are not planted for beauty and not even for a better flavor of wine. “Roses are sensitive to disease”, Merab explains. “And they are the first to give a signal, if something is amiss. When we notice this, we immediately take the necessary measures to save the vine. 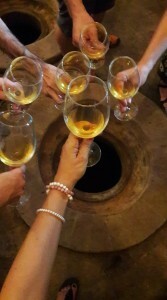 ” The winemaker shares with us some other enological knowledge. 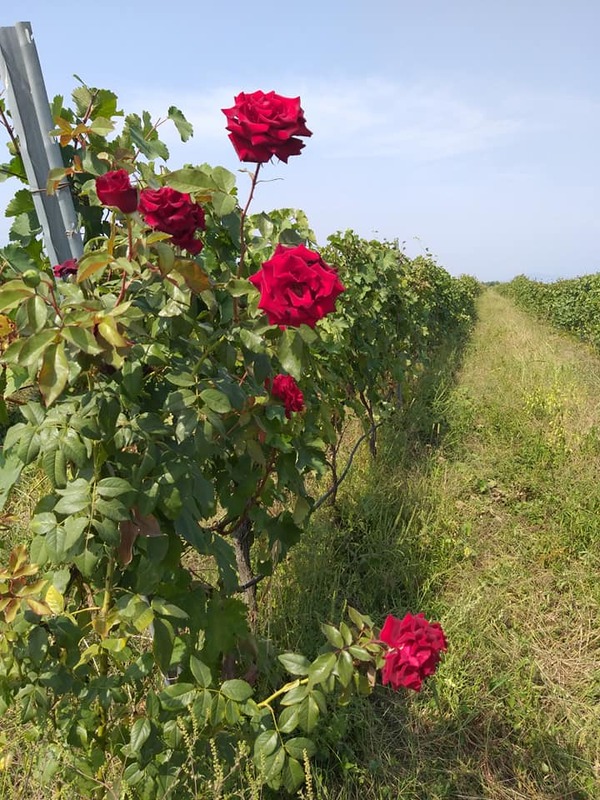 He tells us that, for example, the vines should be planted in such a way that the wind, which in this area usually blows from west to east, would not damage the vine. Our feast is crowned by two Saperavi wines. The younger, has a brightly-expressed bouquet of cherries and light spices. The more mature one has the aftertaste of a ripe dark fig and plum. This wine is dense and dark red. It’s no accident that the red wines in Georgia are called “black”. The best company for red wine is meat. And our passionate cook Gio is just ready to have juicy barbecued mtsvadi of pork and beef, which locals and visitors appreciate in Georgia. Georgians don’t eat desserts of classical kind. After our feast, it’s easy to understand why. Plentiful food does not leave room for sweet excesses, unless, of course juicy fruits, rich in flavor and taste, difficult to find elsewhere in the world. It is difficult for us to refuse ourselves to tickle our tongues with the crunch of a ripe watermelon and the honey-like aroma of a melon. This is the end of our day, the taste palette of which was so rich and varied that we have an involuntary impression that what happened to us was only a beautiful, delicious dream. After all, how can so many moments of culinary ecstasy happen within just twelve hours?